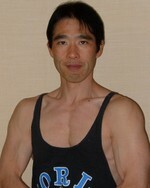 エクササイズ　イズ　メディシン　Exercise is Medicine: Exercise & Language Instructor Fitness journey ENDO's Walk on ! the word/concept "Exercise is Medicine" is beginning to draw people's attention recently in japan too. Correctly speaking, EIM is American College of Sports Medicine's new champaign/framework to heighten people's awareness about the importance of physical activity and regular exercise habits in terms of disease prevention especially non-communicable diseases. Also, better mutual understanding between health & fitness professionals and medical professionals is an important part of EIM. As a credentialed EIM fitness professional myself, I would like to introduce this new framework in japanese language as well below.